The Ford Piquette Plant was built in 1904 as Ford Motor Companies first purpose-built factory, meaning it was built for the sole purpose of building Ford vehicles. The Piquette Plant is located in the Milwaukee Junction neighborhood named for its railroad lines. The area was known as a hub of industry because of the swift and convenient railway transportation. In 1908 the Piquette Plant became the birthplace of the Model T, now it has been repurposed as a museum highlighting the great success of Ford Motor Company as well as a breathtaking event venue. 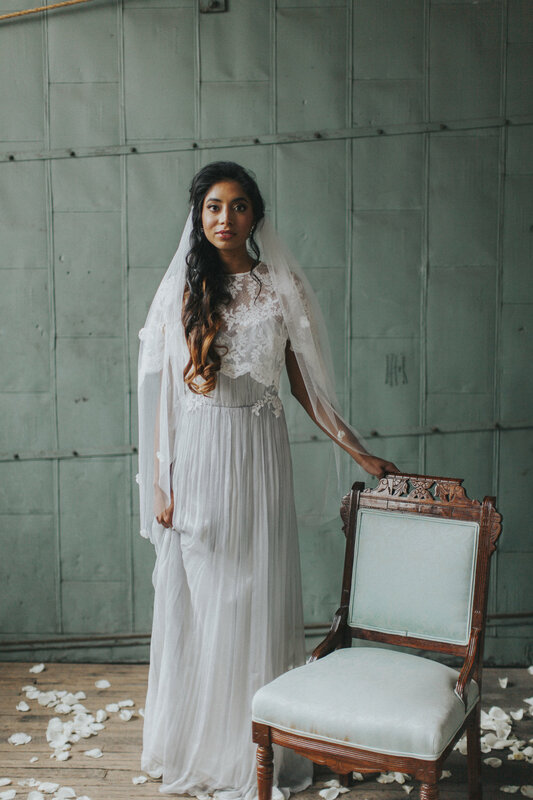 In late March a group of amazing Michigan based wedding creatives joined forces to create a beautiful bridal shoot showcasing the history and allure of the plant. The concept behind the was ballet in an effort to highlight the gorgeous handmade veils by KathrynAnn Bridal. Since the shoot was ballet themed it only seemed right to use all Pas de Deux gowns. Pas de Deux, literally meaning dance for two, is a bridal line that pulls its inspiration from ballet. The collection features delicate lace and light tulle as well as beautiful blush and dove gray hues. Here are some of our favorites from the shoot.